Published on: Tue, Oct 16, 2018 at 12:30 AM | Viewed: 196 times. 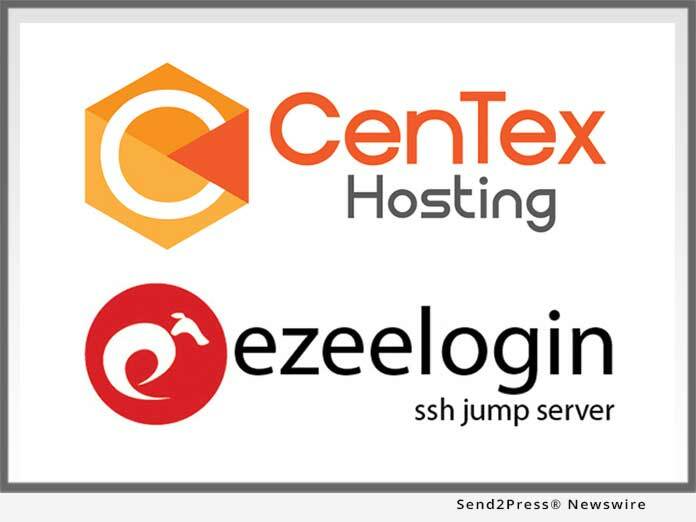 NEW YORK, N.Y., Oct. 3, 2018 — Ezeelogin, a secure SSH Jump server solution, today announced that it was chosen as the software for securing the server infrastructure in operation by CenTex Hosting, a provider that specializes in shared hosting , dedicated servers, virtual private servers, colocation, and managed services. CenTex Hosting is committed to providing an affordable, secure and scalable environment with 100-percent uptime across its network infrastructure. Ezeelogin’s Jump solution with Secure SSH gives CenTex the ability to access all servers from one location, allowing staff to provide premium customer support that is efficient and secure. CenTex Hosting is a web hosting company dedicated to providing premium customer support and reliable, cost effective solutions. With data centers located in Dallas and Los Angeles, CenTex offers optimal transit to several parts of the world, guaranteeing 99.9-percent uptime on your website. Whether for an individual, small business, or large organization, CenTex Hosting provides an array of options, with industry-leading server management at a competitive cost. At CenTex Hosting, we’re the professionals behind the scenes available 24/7 to provide the best solution. Our services ensure you have the time to focus on what matters most: the success of your company.